Ever since the smartphones kept engaging the markets, App Store has become a very popular term. The term App Store was first occupied by the Apple App Store, later on every other operating system launched their own respective app store with a different name like Google Play Store. However, in the iOS App Store, there are plenty of paid contents like apps, music, videos, movies etc. and these could be purchased using the user’s debit and credit cards, or some other method of payment like Gift Cards. The Gift Cards are commonly available for Apple App Store and Google Play Store, they come in different denominations for convenient refilling and gifting. However, not every purchase on the Apple App Store may be intentional. There are times when the users just hit the Pay button without understanding that they are downloading the wrong app. The little one in a household downloading their favorite paid game without parents’ consent is another very popular event. Whatever be the case, if you need to undo a payment in the App Store and get a refund for the payment, then here are two methods for you. Using the iTunes app on a user’s computer, they can request for a refund for a subscription or purchase that had been mistakenly done. To request a refund through iTunes, the user must have iTunes installed on their computer first. The latest version of iTunes could be downloaded from Apple’s website. Once the iTunes software is downloaded, launch the software and make sure you are signed in with your Apple ID and password. To sign in with your Apple ID, click on ‘Account’ after you launch iTunes. The Apple ID would be prompted, enter your username and password that you use on your Apple devices. Once you are logged in, the iTunes software should show how many apps you have installed on your Apple device, and inside the ‘Purchase History’ dialogue box – the number of purchases made using your account would be shown. In the bottom of this screen, there should be a button named ‘Report a Problem’. Click on it. You will be prompted to enter the Apple ID and password again. Enter, and the next screen would show a dropdown list of possible problems you might encounter. 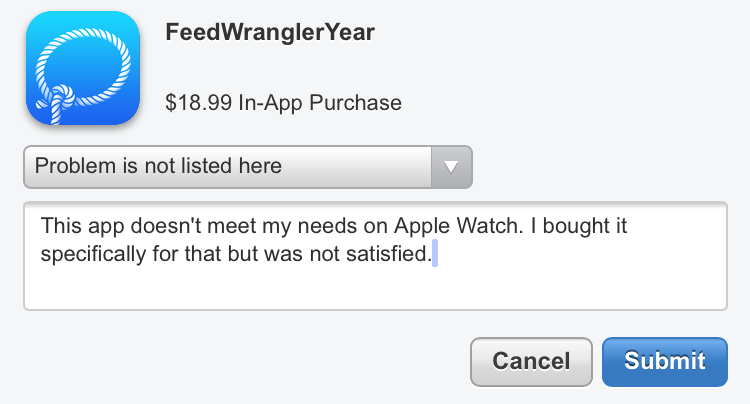 You could select ‘I didn’t authorize this purchase’ and fill in the details about your problem in the box underneath. Under ‘Report a Problem’ screen select the app you want to get the refund for, and click on ‘Report a Problem’. A similar drop-down menu would appear, select the option that allows you to report a mistaken purchase. For example, if you are looking for a refund on a TV series you purchased, there should be an option like ‘I inadvertently purchased this TV episode’. Click on ‘Submit’. After Apple reviews your request, you should have a refund if your request was legit. The refund procedure can take up to 5 days, excluding the weekends and bank holidays. After 3-5 days, you should get your money back on your account or credit card used to make a purchase. Conclusion: These methods work on legit requests only. 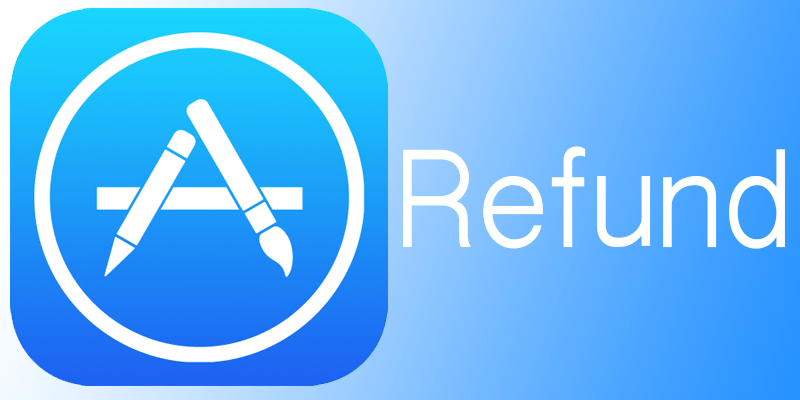 For apps or files downloaded very long ago, Apple might not refund any money at all.